This post serves three purposes. One: to let you all know how awesome I am. Two: to give a proper thanks to those bloggers who awarded me. Three: to let you all know how awesome I am, in case you missed it the first time. For a while now I’ve been meaning to thank two fellow bloggers for passing on awards to me. And now I am finally doing it! See how that works? 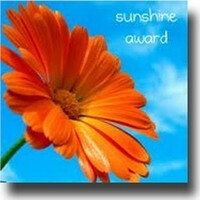 Scott Jung, co-founder and editor at DudeWrite passed on a very manly “Sunshine Blogger Award” to me. This is not to be confused with the “Sunshine Award” I got earlier. Tsk, pay attention! Anyways, thank you Scott! For the award and for the excellent DudeWrite project that brings all the male dudely guys together every week to exchange war stories. 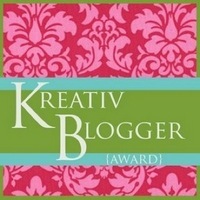 Guilie Castillo-Oriard, the woman behind the “Quiet Laughter” blog and an active fiction writer, bestowed another flowery award on me – “Kreativ Blogger Award“. What? That doesn’t sound too flowery? Ah, but have you looked at the badge? Thanks Guilie for this nice addition to my ever-expanding botanical garden of awards. I’m always happy to receive these, regardless of their level of floweriness! The two awards have now been proudly added to my Awards page. Yes, I have an “awards” page, because vanity is the shortcut to awesomeness, as someone once said (me, right now, for example). Thanks to the DudeWrite project (see above…no, a bit higher…yup, there!) I’ve also been expanding this award list with new Man Cards to balance out the countless flowers. I’m happy to have received a bunch of those over the last few months. DudeWrite helped me realise that I can do more than just make fun of stupid things. Sometimes I can even do fiction and other word combinations! As you know, I’m notoriously bad at finding a huge number of bloggers to pass these awards to, which would be required if I were to follow the award rules to the letter (the letter is “J”, if you were wondering). 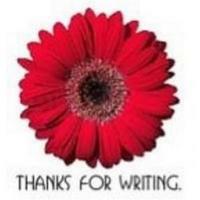 Instead, I hereby want to pass on the flowery love to the whole DudeWrite crew. I know it’s a lazy and cheap way out, but at least it’s two things at once! Seriously, if you just follow the link to DudeWrite and look at any starting line up, I guarantee you’ll find at least one new awesome dude blogger to follow. He may even follow you back, at which point I’d strongly suggest getting a restraining order! Finally, I’ll be bending another award rule, as I tend to. Because I’m a rebel without a cause. I live on the edge. I don’t play by the rule book. I make my own rules. I. Am. The Dark Knight. I get carried away sometimes too. Both awards require me to answer 10 questions/provide 10 random facts about myself. If my math is correct that’s at least 17 things to share, but no more than 73. What I’ll do instead is make you a promise. I will do my best to honestly answer any question left in the comments. There’s one rule – only one question per person! And no, you can’t take inspiration from me and bend this rule. Because…that’s rule number two. This has been a hell of a long time coming, but better late than mauled by a tiger, as they say. They do say that, don’t they? In early January Michelle Franco sent some blogger love my way with the Versatile Blogger Award. I went ahead and wrote a thank you post and nominated a few bloggers of my own. Unfortunately, since I didn’t know enough blogs I nominated only 5 bloggers instead of 15. I figured I’d nominate more once I’d had the chance to meet them. Then something terrible happened – I got nominated for more awards by more fellow bloggers! Wait, that came out wrong. It is obviously awesome to get recognised and nominated by fellow bloggers and I’m really thankful for all of these. The terrible part is that I only read/know a handful of blogs at this stage. 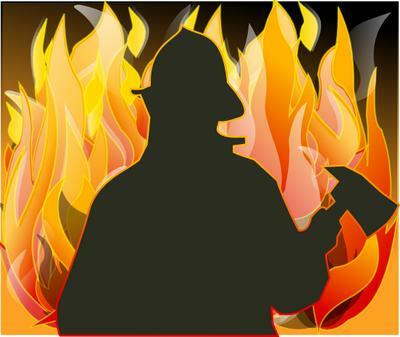 If I had to pass on each award to up to 15 people I’d have to quit my job, break up with my girlfriend, stop eating and finally burn down my house, because at that point why the hell not? So by now I’m a very proud receiver of Versatile Blogger Award, Sunshine Award, One Lovely Blog Award, Illuminating Blogger Award and Thank You for Writing Award. I’m really happy and thankful to have received each and every one of these. “But Daniel, is there even any value in all of these awards when they’re passed on so frequently to such large numbers of bloggers? Matter of fact, isn’t this trend causing a devaluation of these very awards in the blogging world? Verily!”, some of you are saying, while looking ridiculous in your pretentious monocles. On a serious note, I do believe that many of these awards are turning into sorts of “chain letters” of the blogosphere: pass this on to 15 of your friends or else you’ll have 7 years of being mauled by a tiger. What is it with me and tigers today?! Having said that, I have been happy to receive every single one of them, especially from fellow writers whose blogs I frequent and enjoy. And even though I don’t know a massive amount of bloggers I intend to pass each of the awards on to someone who deserves it. 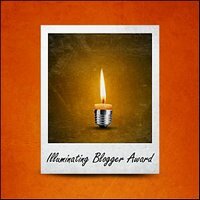 Carrie Rubin, who has nominated me for a whopping total of three awards: Illuminating Blogger Award, One Lovely Blog Award and Thanks For Writing Award. Despite the fact that these decisively unmanly awards with flowers and candles may have been sent with the sole intent of shattering my male ego, I’m really thankful to Carrie for passing them on. Not everybody gets to have their ego shattered by such a funny and prolific blogger! Carrie writes regularly and each of her posts carries (puns are awesome) a good deal of characteristic humour and energy. Carrie’s also extremely good at replying to the comments and keeping the discussion alive. I always enjoy visiting her blog and recommend you head right on over to check it out for yourself! C.J., who passed on another Illuminating Blogger Award to me. Thanks! All I can say about C.J. is that if any of you have even the slightest affiliation with food, such as e.g. eating it, you should not miss her Food Stories blog. It’s filled with recipes, stories, pictures and everything else food related. Be warned, you’ll probably walk away hungry! 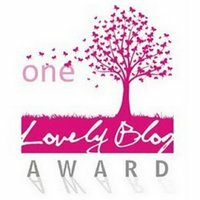 Ella Medler passed on yet another Versatile Blogger Award to me. Thanks a lot for that! I will return to Ella in a bit because she’s also *SPOILER ALERT* one of today’s nominees! Michelle Franco who should be familiar to most of you after having passed on the Versatile Blogger Award to me earlier. She followed it up with a Sunshine Award in late May. Really appreciate all the blog love, thanks! Michelle has an active blog for which I have written a guest post a while back. In addition to that she’s the author of a top-rated “Where Will You Run?” book, which I had the true pleasure of reading. Rumour has it that a follow-up book “Where Will You Hide?” is around the corner, but don’t take it from me, head on over to Michelle’s blog and find out from the source! I have no hesitation in passing this award to…drum roll…Ella Medler! She writes often and her blog is filled with reviews, writing tips, reflections and polls. You will definitely learn a thing or two about the world of writing and books by visiting it. Ella has written a top-rated “Martin Little, Resurrected” book, which is right now on my “to read” list. If you visit her blog you’ll be able to read a sample or two from the follow-up book “Martin Little Takes Epic Action”. Ella and I have also exchanged guest posts, so you can check out her post here and my post on her blog. This one goes out to Mirjam Rose. Mirjam is into photography and most of her posts are also outlets for her beautiful photos of the world around her – flowers, nature shots, happy people and other things that will make you smile! If you ever need to cheer up, after e.g. 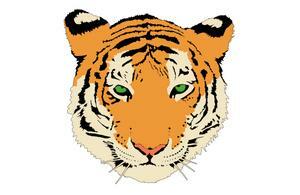 having been mauled by a tiger, do visit Mirjam’s blog and it should fix you right up! This award goes to a frequent visitor and two-time guest poster on Nest Expressed. Her name is Rachael McGimpsey. I really enjoy her quirky sense of humour and random rants and musings on her aptly named blog. Even though Rachael is a newcomer in the blogging world, she’s doing a great job of keeping her blog updated with fresh and entertaining content. Head on over and join the fun! I want to give this one to Laurie Chandlar. She’s the author of a recently completed manuscript “The Silver Gun”. Laurie writes about her writing journey and also about her occasionally weird and funny experiences living in NYC. Did you know there’s a “can-I-have-your-muffin?” epidemic in New York? No? Well learn more about it and other stuff on Laurie’s blog! Finally we have a man on the nominee list! He’s the author of numerous books and his name is Martin Bannon. Wait, no, Marty Beaudet. Well, he writes under many names. Some may call it “schizophrenic”, I choose to call it “versatile” for the sake of this award. Well deserved, sir! Martin also has some fun stories to share. We’ve all done some embarrassing things while drunk, but not many of us have done them in the presence of royalty. Don’t worry though, Martin’s got you covered – relive his life’s most embarrassing moment right here. Well, that just about wraps it up for this round. Thanks again to all the nominators and I hope the nominees enjoy their well deserved awards!